Today, we’ll show you how to crack the encryption of these files, so you can enjoy them however you want. 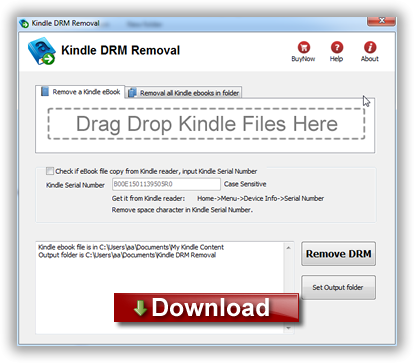 In other words, we’ll show you how to remove drm from Kindle book, include AZW, MOBI and PRC files. When you’re done, you’ll be able to read them on any system or device, convert those MOBI or PRC ebooks to PDF or any other format you’d like and you’ll – once again – own those books that you’ve payed for. 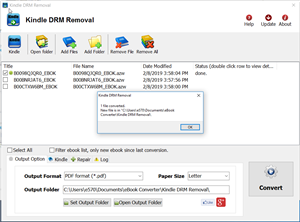 What you need to do is to visit ebook-converter.com, download and install Kindle drm removal that is tools to remove drm from mobi ebook. select mobi file to decrypt, you navigate to the folder containing Kindle ebook files, it should be in folder “C:\Users\your-name\Documents\My Kindle Content” folder. click “Remove” button, it will create a new mobi file that can convert to other format using Calibre, you read it anywhere. If all went well, you’ll now be the proud owner of another, unencrypted version of your ebook. 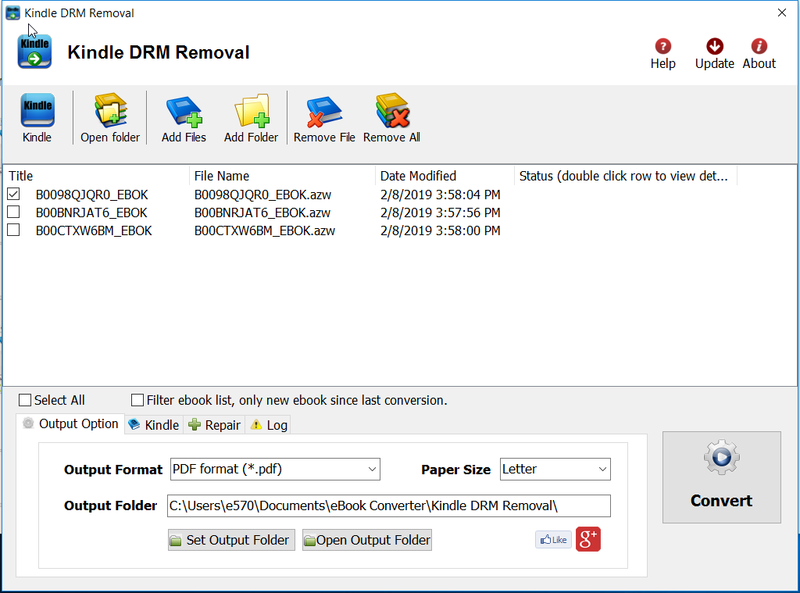 How to remove Kindle DRM in Windows 8? How to find correct info for a ebook in B&N account? 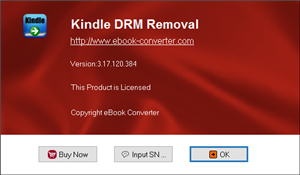 How to find correct info to remove NOOK ebook DRM? How to download comic in public library on overdrive ? 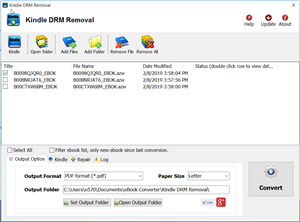 How to remove Kindle .kfx format DRM ? How to read Kindle ebook on Nook? How to read Kindle ebook on Kobo?